So, we’ve learned that coffee, wine and sugary treats can wreak havoc in our mouths and on our pearly whites. But what about these innocent actions? Why do these seemingly innocent behaviors damage our teeth? Chomping on ice. What seems like a healthy way to avoid eating decadent desserts and fatty chips can backfire. 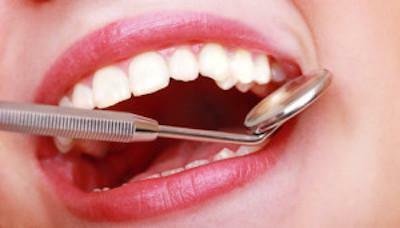 You might damage the soft tissue of the tooth, or actually chip and crack your teeth. Piercing your tongue or lip. This too can cause dental-related problems. The metal might crack a tooth or cause gum damage. When the piercing touches the bacteria-laden mouth, hello possible infection. Sucking on cough lozenges. How can treating a cold negatively impact our teeth? When it mixes with the bacteria in plaque that coats your teeth, the plaque converts the sugar into enamel-eating acid. Frequent snacking. Just when you though eating lots of healthy small meals was the key to losing weight and staying healthy, here is a fact to upset your applecart. The authorities at WebMD assert that snacking produces less saliva than eating a full meal. As a consequence food bits are lodged in your teeth for hours on end.